Description: An interesting look at how to handle uninvited guests in your SocioTown apartment room. 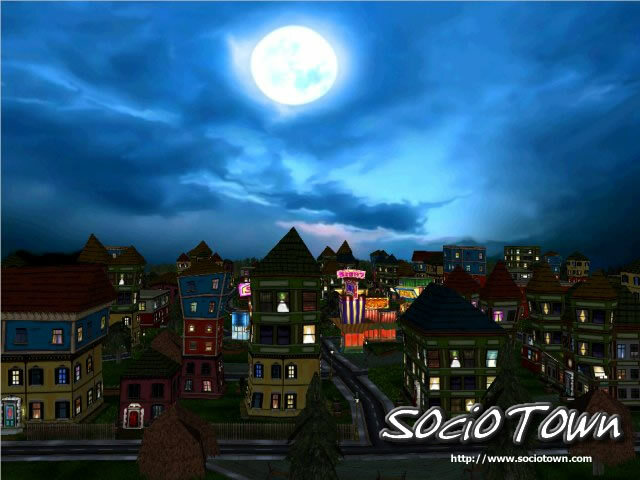 Description: This video shows snippets of various gameplay features in SocioTown. 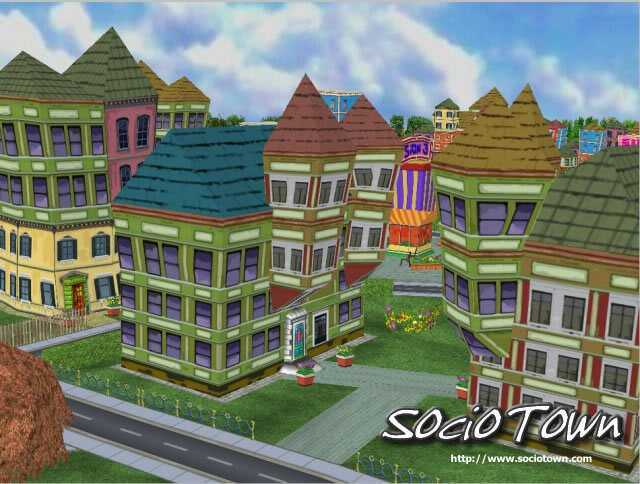 Description: This is the first official trailer of SocioTown. It contains some footage from the previous video clips as well as all new footage. 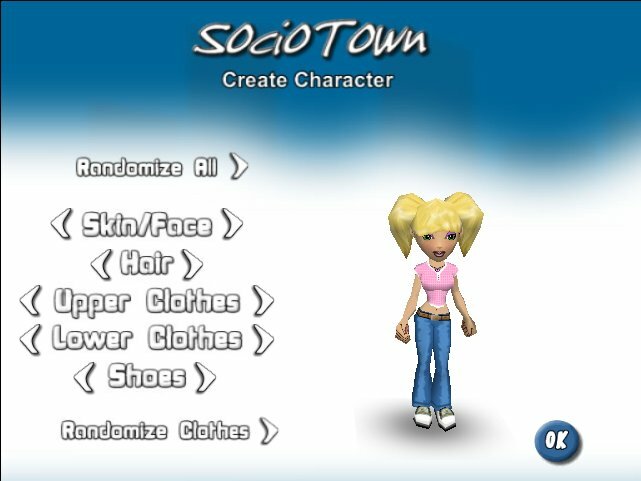 The trailer shows several aspects of the social system such as the Social Network interface and Inner Circle. The trailer also shows the music mode in action. 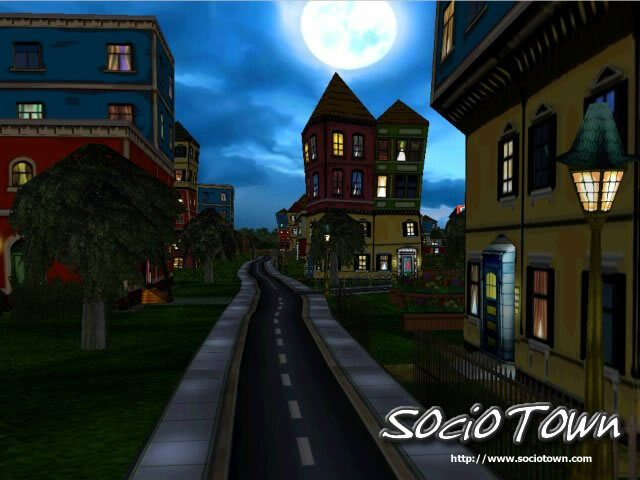 Description: This is the first video footage of SocioTown. It's basically just a walk-thru in and around one of the apartments. The apartment interiors are actually just place-holders, but the video demostrates how players can move in and out of rooms and buildings.  The rooms aren't just floating in virtual space only accessible by a text menu typically found in other web games and chat worlds. In SocioTown, every room occupies a physical and finite space. This means when players own an apartment in SocioTown, they'll have actual neighbors they can visit just by stepping outside their door. Likewise, they may have to go down the street to another apartment building to visit someone or attend a party.